Married at First Sight continues to captivate viewers thanks to constant drama, including a shock ‘affair’ involving Ines Basic and Sam Ball. 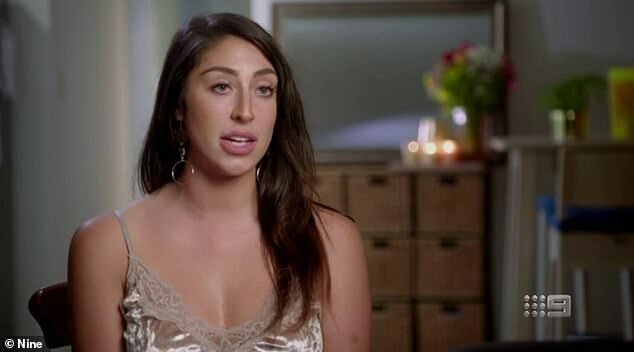 And the drama looks set to reach new heights after an insider claimed on Tuesday that new intruder Daniel Webb will ‘hook up’ with Jessika Power, despite him being married to Tamara Joy. A radio listener, known only as ‘Ken’, told Fitzy and Wippa that Gold Coast single dad Daniel, 35, and Perth admin assistant Jessika, 26, will hook up. ‘I know a girl [who is] the best-friend of Tamara,’ Ken claimed live on-air. The claims will no doubt come as a shock to fans since blonde bombshell Jessika is still ‘married’ to Mick Gould on the show. 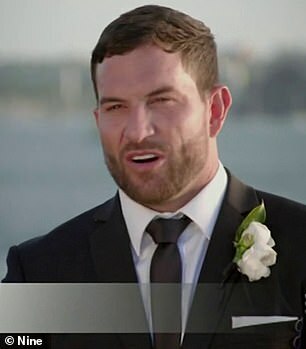 Dan ‘wed’ human resources manager Tamara Joy on Monday night’s episode of Married At First Sight. But he admitted to TV WEEK that he wasn’t instantly attracted to his ‘bride’. ‘If she walked into a bar, she wouldn’t be the type of girl I would go and speak to,’ the 35-year-old said. 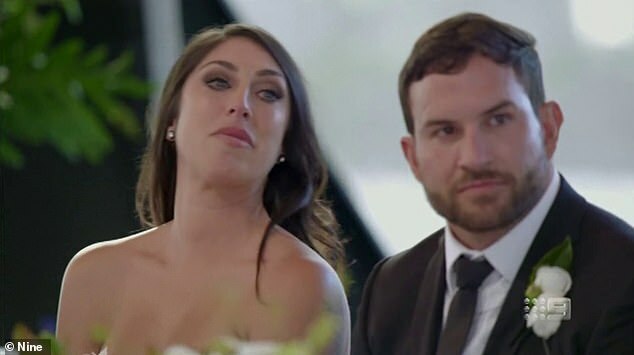 ‘She’s a pretty girl and has everything going for her, but we didn’t see eye-to-eye on a few things,’ Daniel said of meeting Tamara for the first time on their wedding day. Despite not having an instant attraction, the father-of-one maintained that he’s willing to give the relationship a chance. ‘I was keen to find out the depth of her and find out why the experts matched her with us,’ he said. 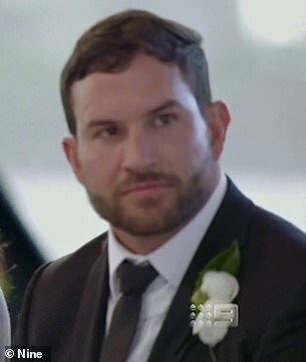 Monday night’s episode of Married At First Sight saw Daniel and Tamara tie the knot. Describing her perfect relationship, 29-year-old Tamara she wanted a marriage like her parents had. ‘I want a husband and I want a family and I want children. And I believe in the process,’ Tamara said in a piece to camera. ‘I actually have never cheated on a partner before. I am very faithful. I learned that from my parents, she added. Tamara lost her mother to motor neurone disease three years ago. ‘My mum met my dad when she was 16, and they were together ever since, right the way until she passed away three years ago. She had motor neurone disease. I watched her deteriorate day by day,’ she said, tears flowing. ‘Her muscles started to die, and…Sorry,’ she said, having to stop speaking as she choked back tears. ‘Just watching somebody go through something like that… it just breaks you as a human,’ she said.